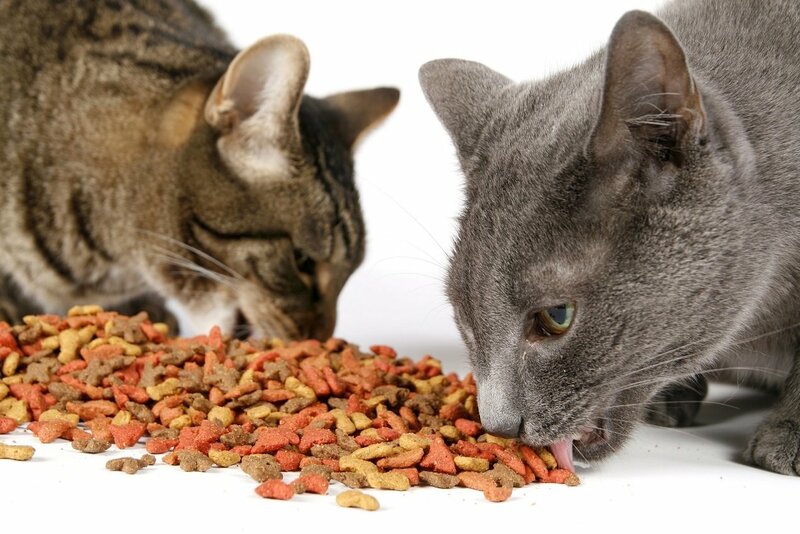 Looking For The Best Dry Cat Food For Older Cats? 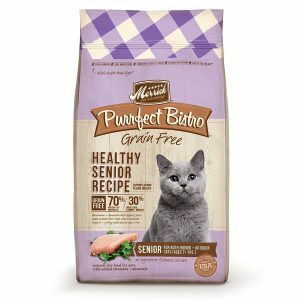 Here’s a look at our favorites, including our top pick – Merrick Purrfect Bistro Grain Free Healthy Senior Recipe. 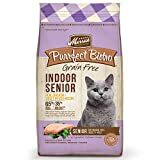 Merrick Purrfect Bistro Grain Free Healthy Senior Dry Cat Food, 7 Lbs. It’s imperative that you avoid causing any urinary crystals for your older cat by choosing the wrong cat food. Urinary crystals are extremely common in cats, simply because folks will choose a cheap cat food brand, rather than choosing what’s best for their cat. Another common issue is vomiting when it comes to cheap cat food, just another reason to avoid these low tier brands. Cats naturally thrive on a grain-free diet that’s high in lean protein, low in carbohydrates, with moderate fat levels. As they get older, senior cats develop more specific nutritional needs to combat weakening muscles and sore joints, improve worsening vision, and regulate their slowing digestive system. Older cats are also more susceptible to illness, so it’s important to provide the right mix of vitamins and minerals to keep their immune system in tip-top shape. Real protein as the first ingredient – look for food choices that list real protein as the first ingredient. 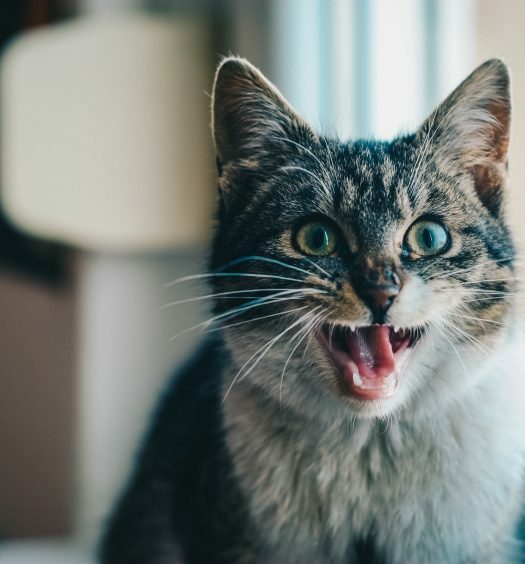 Pet food that uses meat by-products and synthetic proteins deprive your cat of the high-quality protein that they need to support lean muscles and strong joints. The Merrick Purrfect Bistro Grain Free line of all-natural dry cat food is a fantastic choice for cats of any age, but this Healthy Senior Recipe is especially good for cats that are seven and older. It provides balanced nutrition with real, wholesome foods, along with focused ingredients for older cats to provide better overall health. 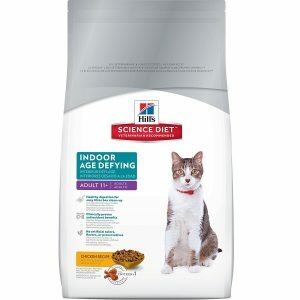 Hill’s Science Diet actually offers two lines of dry cat food that are targeted to older, indoor cats—there’s an Indoor mix for cats that are 7 to 11-years-old, and an Indoor Age Defying mix for cats that are 11 and older. Both provide balanced nutrition with targeted ingredients that are especially helpful for older cats who spend all of their time inside the house. Keep in mind that Hill’s Science Diet is the #1 choice that veterinarians feed to their own pets, so it’s definitely a brand that you can trust. 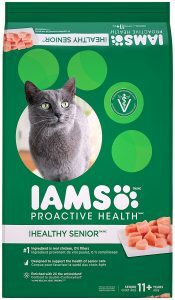 IAMS Proactive Health dry cat food always offers complete and balanced nutrition for cats, and their Healthy Senior mix includes targeted nutrition for older cats. The company’s nutritional philosophy is based on years of research, and IAMS knows how to make pet food that promotes optimal health and tastes delicious. If you’re looking for wholesome, farm-fresh cat food, this is a great pick. 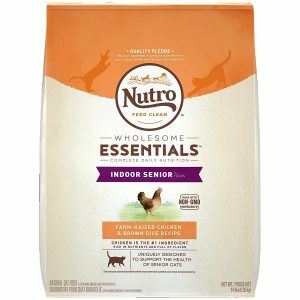 The Nutro Indoor Senior mix is made with farm-raised chicken and whole brown rice, and it was developed specifically for indoor cats that are 7 or older. It’s rich in nutrients, bursting with flavor, and only uses clean, non-GMO ingredients that are sourced directly from farmers in the USA. The Purina Pro Plan Focus Adult 11+ formula delivers the complete and balanced nutrition that senior cats need to thrive. Real chicken is the first ingredient, and you’ll never see any fillers or artificial colors, flavors, or preservatives in any Purina Pro Plan food product. Each and every dry cat food mix that we’ve talked about today offers a complete, balanced diet with targeted nutrition for older cats, so you can’t go wrong with any of them. I personally use the Purina Pro Plan mix with my cat, and I feed my dog Hill’s Science Diet food, so I can personally endorse both of those. 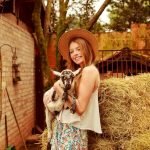 But don’t let that keep you away from trying food from Merrick, IAMS, and Nutro—they’re all reputable brands that come highly rated and widely recommended. 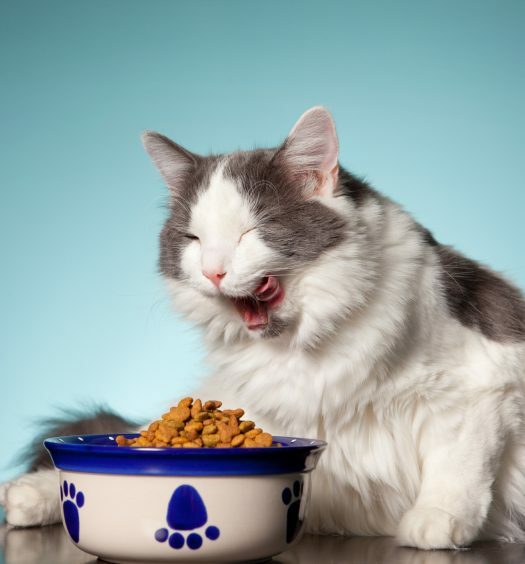 Cats are notoriously finicky eaters, so you may need to try a couple of these options before you find the right one for your cat.